Step 1. 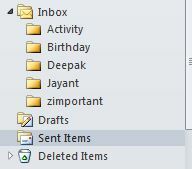 Open the outlook and go to the sent items mail on left side. Step 4: Press Ok button for recall the mail. 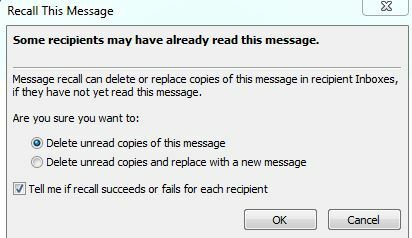 Step 5: you will receive message that recall is successfully or failure status. Note: if you recieved failure status its means recipients already read your message. This entry was posted in Oracle and tagged mail, message, Microsoft, Outlook, recall on April 16, 2015 by SandeepSingh DBA.